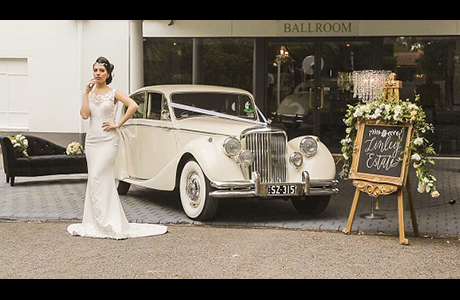 Linley Estate Wedding Receptions is one of the largest wedding venues set amongst the foothills of Dandenong Ranges in Kilsyth. It can seat up to 300 guests in the stunning Chandelier Lit Ballroom and 120 people comfortably in the gorgeous Silvan Room. 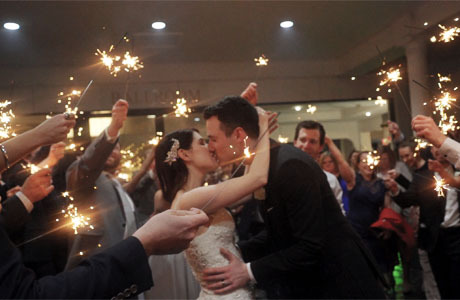 Linley Estate Wedding Receptions has two options for the wedding ceremony. The Sandstone Chapel with the full height glass atrium can have up to 150 guests attend your ceremony with the great air-con and sound surround system. If you prefer the outdoor ceremony, the Rose Lined Gazebo with the white Tiffany Chair would be another great option for the bride and groom. Set in 4 acres of the lush green gardens, Linley Estate Wedding Receptions has diverse opportunities for wedding photography. The manicured English style gardens, the majestic trees, the tree-lined pathways and white “LOVE” are just a few options for the bride and groom to take their wedding photos. The fantastic accommodation and bridal treat onsite can pamper your bridal party from the morning. With everything the bride and groom need all stay within Linley Estate Wedding Receptions, it will allow your wedding day run seamlessly and stress-free. Our wedding photographer and cinematographer will take that ease and elegance to make your wedding day into the most memorable day in your life. From a Melbourne wedding photographer’s perspective, Linley Estate Wedding Receptions is one of our favourite wedding reception venue. Should you have any questions to plan a wedding at Linley Estate Wedding Receptions, please do not hesitate to contact us for the suggestions and information from a wedding photographer’s view.